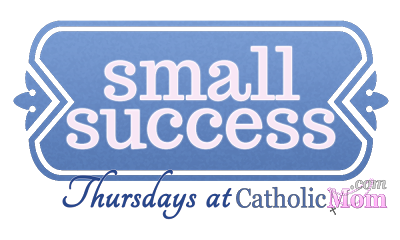 It’s Thursday and time to share our small successes of the week with CatholicMom.com! I believe whole-heartedly in celebrating our small successes, as I’ve said here before. But sometimes, I admit, I have to rack my brain to come up with successes worthy of a blog post. What success have I really had this week? Of all the things I did this week, what is really worth mentioning here? Do questions like that ever enter your mind and heart? Those doubts that make us question the value of what we do, day in and day out? And then I wonder if I am just not thinking small enough! 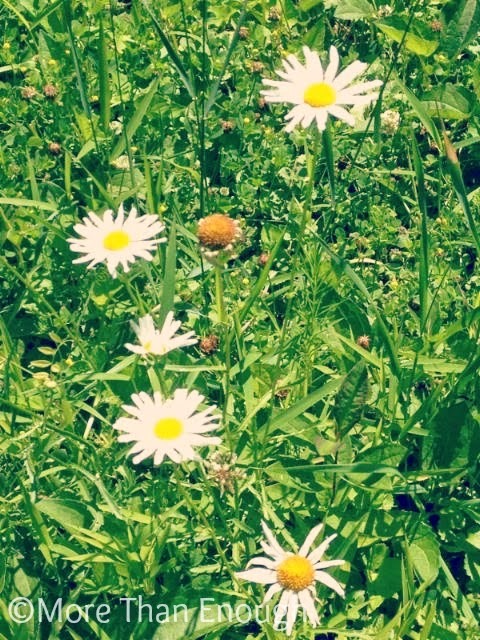 For I do a bunch of small things all day long; they fill my days and weeks! No, maybe I don’t have big accomplishments, as defined by the world. But when I do these little things, they add up! And maybe, just maybe they amount to something great! 1. I went to the gym four times—Monday, Tuesday, Wednesday and Thursday! Two Zumba classes, one step aerobics class and one Mat Pilates class. 3. The kids and I maintained a consistent order to our days. We followed a realistic routine of doing a few chores each morning to maintain a fairly clean house. And then we were able to have some close-to-home fun in the afternoons. We checked out a farmer’s market, yesterday, and because all of our chores will be done by today, we are planning an outing to the zoo tomorrow! Awesome on the gym!! I want to try and make that a goal for us too. Our schedule this summer has been insane. But it has got to be a priority! Thanks, Amy! This is the first week I have had success in going to the gym, because we've been crazy-busy this summer, too! But it was more doable than I though, and of course so worth the effort! I hope you can make it soon!